As soon as the bookings opened for the yatra, I sent in money and details. 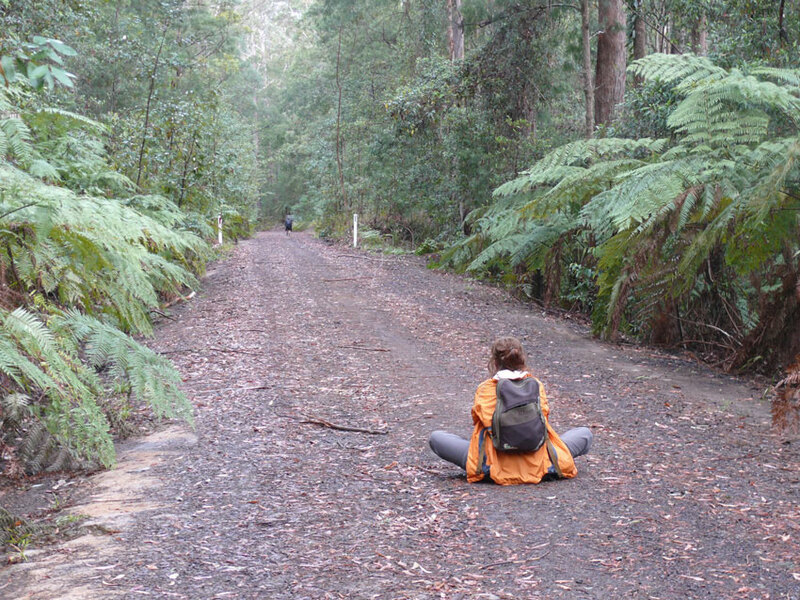 For a bushwalking Buddhist from the Blue Mountains, it was right up my alley. Getting there was a complicated adventure: lift to train – train – change trains – plane – taxi – YHA – bus – lift with fellow yatra person Helen. 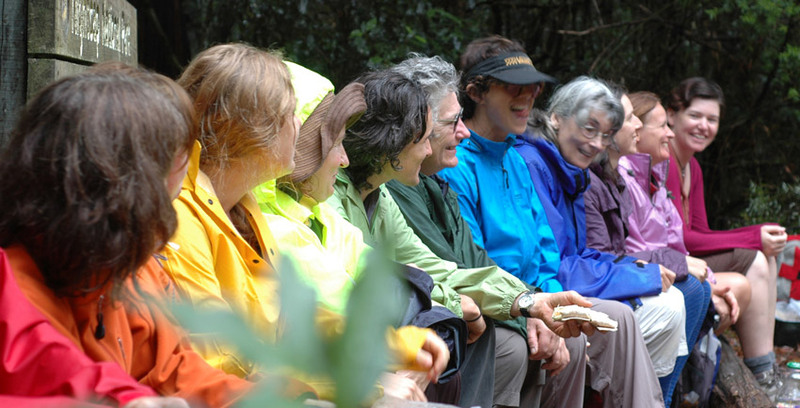 On the steep hillside at Doon Doon, it is a joy to greet old dharma buddies. In a circle, all my new yatra companions introduce themselves, and in the morning, our routine begins. Morning yoga with Ronnie – bliss! then breakfast, pack up everything to be loaded onto the support vehicles, make lunch , then we all set off silently up the hill. On the ridgeline you can see more clearly the bowl shape of this exploded old volcanic cone. We are heading to the other side through the Nightcap range. Before white people, Aboriginal people made the trail that we walk along. But it is a junction of two different territories. Our group stops at a huge hollow blackened blasted tree, which could fit a dozen people inside. After white settlement, this tree was the meeting point where one tribesman would pass the mail to another tribesman – it was called the Postman’s Tree. In this forest, of tall ancient trees, the light is greenish, and when it begins to rain, nothing matters except staying dry. We are all kinds of colours in our rain gear, stepping carefully on the wet stones and shiny leaves. 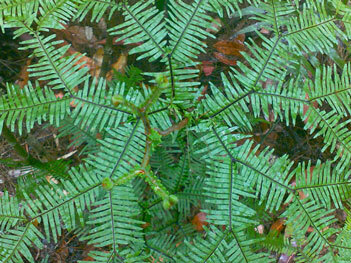 The smells in the forest become more vivid. Logs provide a perch at lunchtime, and we can talk. Some one gets a leech – leech inspection! No-one freaks out, thank goodness they’re made of sterner stuff. In fact, as I am to discover this crew is remarkably resilient and does not carry on over the difficulties and hardships. Well – who can we complain to, when walking silently except to ourselves? “Its hot, I’m really tired, I’m sick of steep hills, I want chocolate, oh no not wind, I can’t stand wind”. After lunch, we walk fire trails in Whian Whian state forest. 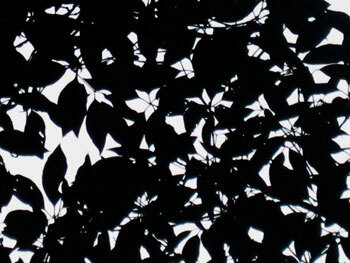 This is not my country, so I cannot recognise many of the plants or animals of the forest. That afternoon at Whian Whian camp ground, Maya and I do a spot of bird-watching while eating cake and drinking tea. How good is this? The frogs in the creek sound equally at peace. Later, in the evening another frog starts up: ” quaa…”. It sounds like an interrupted duck. These frogs, as spotted by other walkers later, are brown with a stripe. That day I had been intrigued by a call in the forest, which sounded very like a newborn lamb, or a kid. In New Zealand last Christmas canoeing down the Wanganui river, this call came from goats on the steep slopes. But as the days went by, in Nightcap it morphed into a call by crickets or cicadas. It was an insect sounding like a mammal. Because our gear was wet, the plan next day was to walk to Minyon Falls and back again. The adventurous (most of us put ourselves in that category) would walk to the pool at the bottom of the falls and back up again. Ronnie is the ‘Tail’. In the circle he is awarded a trowel and a roll of toilet paper in ceremonious fashion. We set off into the bush again, silently. I thought of generations of indigenous people doing this, setting off every morning in a group. Along the way is an interpretive sign saying that the sub-group of the Bundjalung nation, particular to this area, were the Bidjugal, clever people known for sorcery and medicine. The quiet walking we were practising would not be a common feature of indigenous walking parties. In the early days, European surveyors like Govett recorded meeting very talkative walking parties, consisting of the men carrying spears, and the women carrying everything else in huge loads on their backs. I have been told of a practise among Darug initiates, who were given a pebble to place in their mouths, and told to keep it there until the end of their march across the Jamison valley. The pebble helps with thirst, but also, have you ever tried talking with a pebble in your mouth? When you can’t talk, you take notice of your environment. You notice the sky, the air, what is growing, where the sun is – a walker talker is necessarily more in their head, focussing on the flow of words rather than say, the flow of a creek. Walking down the creek to the falls, and then through rainforest to the waterhole is easy-ish. The architecture created by the rhyolite substrate is like a great stone hand , cupped and holding that precious thing. The dark water is not as deep as expected – it hadn’t rained for a couple of months – but Rossco gets in, and so must I. Lying on my back in the cool water, I watch drops fall from a great distance above, to plink into a depression. It has taken millions of years for these drops to carve out this kitchen -sized bowl from a very hard igneous rock. It isn’t easy walking back up and out. 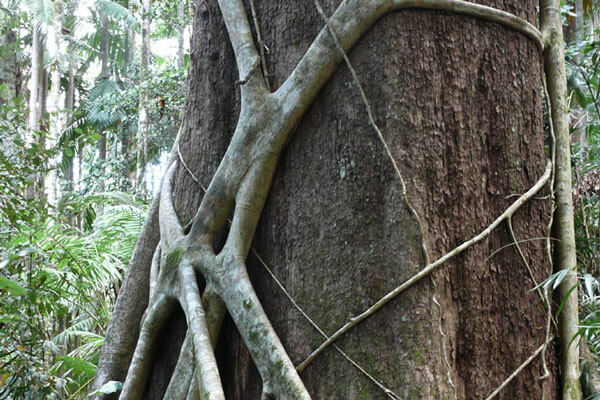 The Bangalow palms , the lianas and birds and strange fruit and hollowed out strangler fig are lovely. There is another falls, also very high, and deep pools leading to it with large tadpoles. When I approach the edge I get down onto my tummy and crawl forward until I can see down into the waterhole below and across the tops of what we had just been walking through. I have learned to do this in the Mountains where people regularly misjudge, and fall off the sandstone cliffs to their doom. It’s the best way to get that bird’s eye view. I notice very little on the walk back, except huge grasses or sedges along the escarpment edge. I am tired. At a ford of the creek, my delight is about still having some food to eat, especially little treats. Maybe this would give me energy. Flaked out on the ford, we look like a lot of rather large unwell lizards. We stay there for a long time. When we get back the first thing I do is crash into my tent. While I am resting all the remains of the ginger cake are eaten up. Oh well, at least someone is cooking my dinner. All I have to do is wash my bowl and eating implements. Again, by the time I get to the washing up water it is lukewarm and filthy. And I miss out on warm body washing water too. The next morning I feel grumpy. I sit with Betsy and Jampa and grumble mightily. We pack up all our gear, make lunch, grab fruit and scroggin for morning and afternoon breaks, and off we go. Our destination this day was Protestor’s Falls, which was the scene of a major confrontation about logging of old growth forest in the late seventies and eighties. Ian Cohen gives an account of this in “Green Fire” (1997). The first beautiful thing was the smell of crushed wattle seeds again. 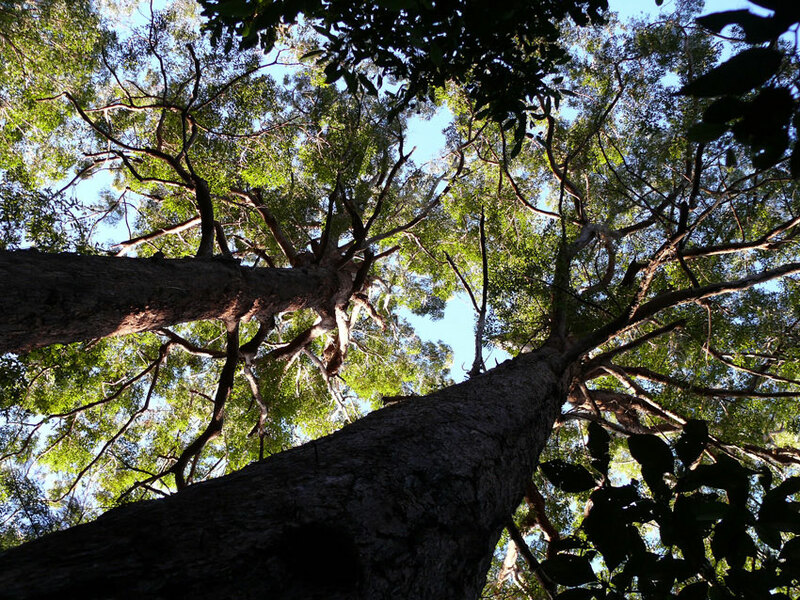 Ah, acacias – how did they get so tall? The second beautiful thing was the deep hollow call of the mysterious bird. Straight after that, is the taste of a wild rasberry, given to me by David. 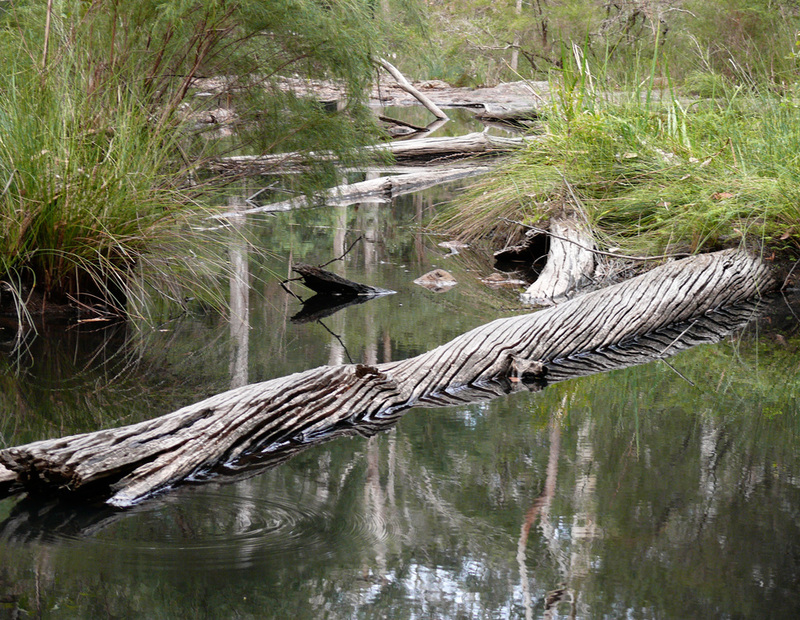 The fourth beautiful thing is another creek, this one part of a water catchment. The fifth beautiful thing was the very expensive chocolate coated bar that I eat, at this ford. And the sixth beautiful thing – it happens every day – is a long lunch break. We stop by a huge Eucalyptus regna – a survivor of the logging. After lunch, we turn into a side road, and then into a side side road. These are overgrown logging roads, not negotiable by vehicles any more. There is always something quite melancholy yet authentic, about a neglected road. It is human effort and intent, all gone to rack and ruin. It is the grand plans to exploit a ‘resource’, softening slowly back into an ecosytem. Trees fall, and mostly begin their descent into a death that gives life to other things. Weeds and all the plants that were originally there reclaim it. That too, will happen to us. The adventure of clambering over and under the fallen trees lifts me out of my “this is a slog” mentality. One beauty of roads is, the gradient cannot be too steep. Up, down, up, down, through the afternoon. And then I come upon the seventh beautiful thing, indistinguishable from the dirt and leaves, beside the road. As I creep closer, it raises its head , and begins to pull the top coil backwards. I take pity on it and move off. All is well when we arrive at the camp ground, chai in the pot, and a small pool in the creek to have another bathe. Up goes my tent, this time by the creek – I’m getting good at this. After Carol’s talk this night, she opens it up for discussion. A few points of view were expressed. Interesting to notice the mind, being strongly attracted or repelled by certain utterances:” No, I don’t agree with that!” The mind that forms opinions and debates and discussed is not as fresh as the mind which bubbles up from a long period of silence and quieting. Opinion-mind is like the water hole – the same things being recycled, somewhat dark and dirty. The other mind is like a spring: cleansed by a long period seeping through the ground, then emerging clean and pure. I struggle with this. Our world is besieged on so many levels, seems like a sheep up to its knees in mud, action is urgent, speaking out a priority. Carol calls a halt, and many of us rise from the circle gathered around a fire. The eighth beautiful thing was to notice that those who want to stay up, gather the circle in around the fire, and then they simply sit around it in silence. The morning meditation is at Protestors’ Falls. That is now the official name given to these falls, memorialising the people who decided on an action campaign to prevent State Forests from ‘harvesting a resource’. I have a sense of sacred site to both blacks and whites. These falls too, are dry – is that because of climate change? I don’t know. 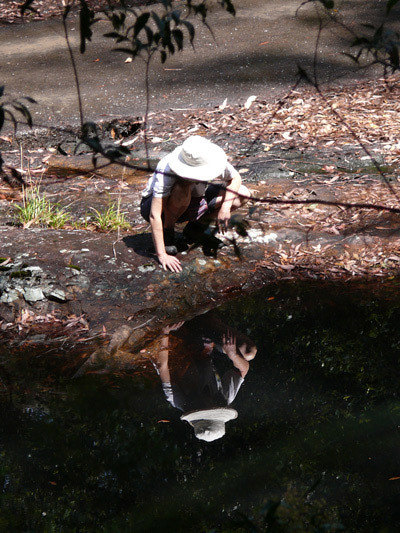 Our mission this day, is to walk down the road, to disport ourselves in a frolicsome manner at a magnificent swimming hole on Terania creek, to eat lunch and snacks, to get to the Forest Meditation Centre via Dharmananda, and to pay attention in each moment. The sense doors are wide open by now. Come in, come in, heat, pigeons, homes beside a dirt road. Welcome cars, weeds, litter – we are a moving blob of mindfulness. We stop at another ford, beside a bridge for morning tea. I know that this creek has claimed a number of lives when it floods. Ah, it’s hot. Plod ,plod, plod. Hurrah, mulberry trees beside the road! Who cares if the fruit are dusty. Another afternoon, and a long bout of lying down meditation. To paraphrase the “Satipatthana sutra”, I lie down and I know I’m lying down. By now I am out of my underpants comfort zone. I was looking forward to the amenities: washing clothes in warm water, and especially, to resting for a day. I’m tired. Tomorrow would be a static retreat day in complete silence apart from dharma talks. The forest centre is familiar – I was here in 1982, on a zen samu (work) retreat, when we built a tank made of bricks. And it’s also changed. There is seating around a fireplace! What bliss. Victor gives a talk which spoke directly to the things I’ve been pondering for a while. I was a pure-bred zen student for many years, but I became restless and began to sample other traditions. Maybe I’m like that snake, eating a lot of variety, and now I have to slowly digest all the different elements of dharma. He likes lists, he said. He had made a list or a typology of four types of meditation practice, and outlined their benefits and shadow side. What was even better, was his idea for a compass that could help one determine whether one was off course or on. It related really, to the seven factors of enlightenment: this gives me some kind of template as I wander about in Australian buddhist practise. Walking again felt good, since we were now quite fit and used to walking. But today was a lot of uphill, we were warned. It is the last full day. Up the road, which gradually tapers off, I was pleased to see a bike rider. That activity is what made me fit. He and his mates had been doing repairs on the track. We now make our way into the National park, uphill , uphill, uphill. This day I just have a huge sense of gratitude , for everything. 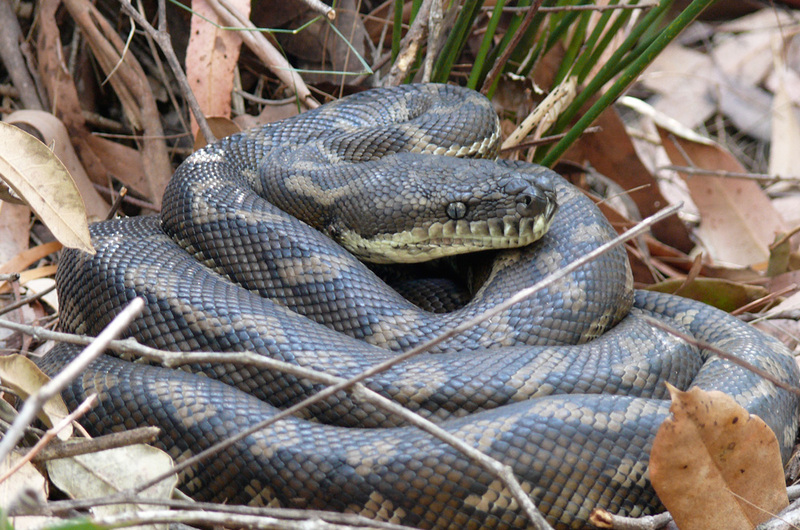 Berries, roadside flowers, rustling trees, possum fur in the road, a dam. Before lunch we turn a corner – a view of the caldera and the valley we had come from – then blissful downhill walking. Further along this ridgeline, there are large rock outcrops, which I gather, have indigenous significance. We stop at one of them. I bush-bash in for a closer look and feel. If rocks can be said to look, this one looks out at the caldera. I am not particularly sensitive when it comes to paranormal phenomena, but I get a distinctly bad feeling from this rock. Perhaps it is a male site. We are finally back at a junction we’d passed on the first day. I come up to a group who are all looking down. Oh! an event! They seem pretty small. But it’s best not to annoy them. Then they get aggressive and jump onto their enemy no matter it’s size, and deliver a very painful bite. In passing on warnings, the vow of silence breaks down. Also, there is a fantastic view of the caldera, and I wanted to know what the volcanic plugs and mountains are, and what their Aboriginal significance is. This is what I am told: Mt Warning is called Wollumbin or weather maker. The story is, that all the clouds go there and get told where to go. The totem at the top is shark’s tooth, and that below, is a bush turkey: male at the top, female below. I hope I have got that right. There is a wild wind around the final camp, which is in the saddle above Doon Doon. But we’re all in such good spirits, it’s not a defeating force. I have survived being out in it, so perhaps my strong aversion to wind is exactly that: an aversion. Competition is intense for a tent spot behind the bank, out of the wind. I put my tent over a rather large hole in the ground, which proved to be the entrance way for a gnawing animal , which wanted egress during the night. Tonight is campfire concert night. The support crew erect tarps, to provide protection from the wind, and after dinner, around the fire, the concert begins. Ben’s tent blown to buggery by the wind. My tent floor chewed through. The same old porridge for breakfast. Walking back down to Doon Doon was sad.The next few days I felt out of sorts with modern life. It’s nice I suppose, to have a bit of extra energy at the end of a day that is not gruelling physically. It’s nice to be able to make myself tea, the way I like it. Nice to see my daughter, my friends, my garden. But that was my tribal time – we were a temporary tribe. We had a set of shared understandings about why we were walking silently, just what that ancient part of us is, that grows when the chatter dies down. And it is a part that says, I am just a small part of this living organism, the Earth”. To go back into discrete lumps of life, is tough.